Penalty for high-volume worship services excessive, house church leader says. 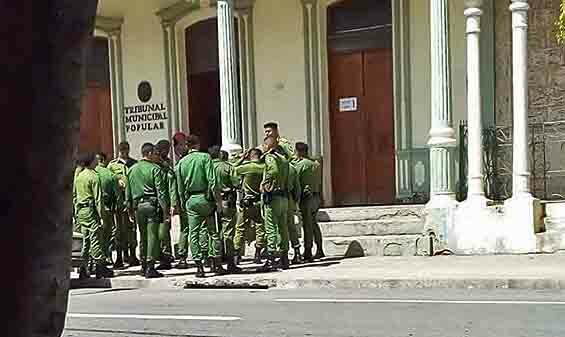 COCHABAMBA, Bolivia (Morning Star News) – A civil court in Cuba sentenced the pastor of a house church to a year of house arrest on Saturday (Oct. 22) for loud worship services, sources said. Nuñez told Morning Star News by telephone from his home in Las Tunas that he hopes to appeal the sentence, which he said was overly harsh. The charge of disturbing the peace stems from complaints filed by Nuñez’s neighbors that the sound system for his Apostolic House of the King of Glory church used for music and preaching was too loud. Nuñez obliged them, he said, by replacing the speakers with smaller, 150-watt units. Nuñez said that the reduced amplification is barely adequate for his congregation, which meets in the courtyard of an apartment complex in Las Tunas. “We complied with the neighbors’ wishes, but the case still went to court,” he said. To the surprise of Nuñez and his parishioners, authorities deployed a force of elite “black beret” army soldiers at the courthouse the day of his trial. 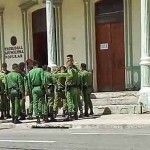 The heightened security was unprecedented and unnecessary, according to local observers, given the fact that Nuñez was appearing before a court that tries only civil cases and misdemeanors, not criminals charged with felonies. The pastor told Morning Star News that conflicts like this exist because the government will not allow churches to build new meeting places to house the rapidly growing evangelical Protestant movement. Though churches are tightly controlled by the Cuban Community Party, Cuba’s Office or Religious Affairs (ORA) allows use of private homes for religious services, according to the U.S. State Department’s 2015 International Religious Freedom Report. “Many religious groups used private homes for this purpose in response to restrictions on constructing new buildings,” the report states. Estimates of the number of Protestant house churches in Cuba vary, from fewer than 2,000 to as many as 10,000, the report states. About 5 percent of Cuba’s 11 million people belong to Protestant churches, with Roman Catholics estimated at 60 to 70 percent of the population. One evangelical organization reported in May 2015 that state security forces threatened to harm its leader, his family, and members of their church, the report states. The pastor of the organization said officials confiscated religious materials from his home and had not returned them, it adds. The source close to Nuñez said the pastor is comforted by the support he has received from the Christian community. “He is very upset, but he’s trusting in the Lord,” he said.